Stay at a holiday rental property in Menton and explore this lovely part of the Alpes Maritimes close to the Italian border. Famous for its cultural history with numerous baroque style monuments as well as its botanical features including gardens and parks many with trees growing a variety of citrus fruits including lemons, oranges, grapefruit and kumquats, in fact the Lemon Festival celebrated here is devoted to them. There is a variety of seasonal rental properties at Menton, to fit all budgets so find your ideal Menton holiday rental apartment, house, villa with swimming pool or cottage at Genius Holidays and enjoy this lovely town that offers so much, both summer and winter. There is also a great range of holiday rental properties close to Menton in other nearby towns including holiday rental properties at Roquebrune Cap Martin and seasonal rental properties at Cap d’Ail. If you are looking for a holiday rental property close to Menton then there are Mediterranean holiday rental properties available such as a Cote Azur seasonal rental property or a holiday rental property close to Monaco. Menton is close to the Italian border so making an Italian holiday rental property a possibility or if you like hiking then a holiday rental property in the Vallée Merveilles would be ideal. By staying in a holiday rental property at Menton for the Lemon festival in February and March, you will be able to enjoy the magnificent gardens decorated with citrus fruit, the parades of decorated floats and the evening entertainment. Don’t hesitate to choose this time to stay in a Menton holiday rental property and make the most of it by visiting the Nice Carnival which also takes place during the same period. 26 m² accommodation for 4 people. This accommodation is located in the town of Menton (Provence-Alpes-Cote d'Azur in France). This accommodation is composed of : Kitchenette, Shower room, Shower room with toilet, Living room. 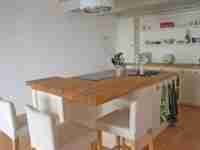 Self-catering accommodation for 4 people in Menton (06500) close to Shops. 70 m² accommodation for 4 people. This accommodation is located in the town of Menton (Provence-Alpes-Cote d'Azur in France) and is close to: Shops, Town centre, Forest, Sand beach, Supermarket, Restaurants, Public transport, Public pool, Public indoor pool. This accommodation is composed of: Kitchenette, Bathroom, Separate toilet, Living room. 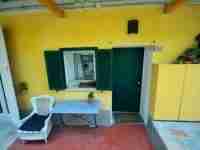 Self-catering accommodation for 4 people in Ventimiglia (18039) close to Shops. 60 m² accommodation for 4 people. This accommodation is located in the town of Ventimiglia (Sicily in Italy). Pets are forbidden. This accommodation is close to: Shops, Town centre, Sand beach, Supermarket, Restaurants. This accommodation is composed of: Kitchenette, Bathroom, Living room, Dining room. Self-catering accommodation for 7 people in Beausoleil (06240) close to Transport. 56 m² accommodation for 7 people. This accommodation is located in the town of Beausoleil (Provence-Alpes-Cote d'Azur in France) and is close to: Transport, Airport, Casino. This accommodation is composed of: Kitchenette, Shower room, Living room. 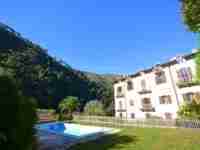 Self-catering accommodation for 6 people in La Turbie (06320) close to Shops. 100 m² accommodation for 6 people. This accommodation is located in the town of La Turbie (Provence-Alpes-Cote d'Azur in France) and is close to: Shops, Town centre, Sand beach, Supermarket, Restaurants, Public pool. This accommodation is composed of: Kitchenette, Bathroom, Separate toilet, Dining room. Self-catering accommodation for 3 people in Airole (18030) close to Shops. 50 m² accommodation for 3 people. This accommodation is located in the town of Airole (Liguria in Italy). Pets are forbidden. This accommodation is close to: Shops, Town centre, Sand beach, Supermarket, Restaurants. This accommodation is composed of: Bathroom. Self-catering accommodation for 4 people in Airole (18030) close to Shops. 75 m² accommodation for 4 people. This accommodation is located in the town of Airole (Liguria in Italy). Pets are forbidden. This accommodation is close to: Shops, Town centre, Sand beach, Supermarket, Restaurants. This accommodation is composed of: Bathroom, Living room, Dining room. 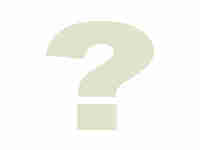 Self-catering accommodation for 2 people in Sospel (06380) close to Transport. 0 m² accommodation for 2 people. This accommodation is located in the town of Sospel (Provence-Alpes-Cote d'Azur in France) and is close to: Transport, Airport, Equestrian activities, Mountain activities, Bakery, Town centre, Tourist train, Shops, Shops, Religious buildings, Horse-riding, Forest, Railway station, Ride on a horse, Hiking, Restaurants, Nice places to go, Tennis, Picturesque village. This accommodation is composed of: Bathroom. 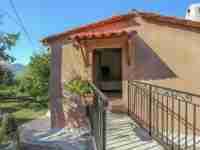 Self-catering accommodation for 2 people in Berre-Les-Alpes (06390) close to Water activities. 55 m² accommodation for 2 people. This accommodation is located in the town of Berre-Les-Alpes (Provence-Alpes-Cote d'Azur in France) and is close to: Water activities, Public pool, Supermarket, Sand beach, Town centre. This accommodation is composed of: Kitchenette, Bathroom, Living room, Dining room.